This December, grab a group of friends or coworkers for a Holiday brewery tour and discover the freshest, most unique, and award-winning craft beer Minnesota has to offer! We work together with you to plan the best possible experience, including the length of the tour, number of stops and best breweries to visit. We also have a variety of food options we can build into your holiday brewery tour, and our little brew bus can pick you up and drop you off at home, hotel or favorite restaurant. 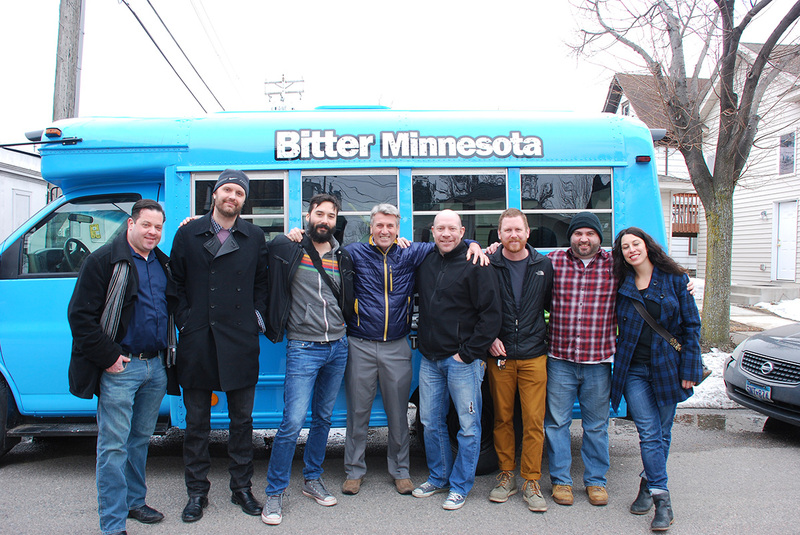 We staff each Bitter Minnesota Holiday brewery tour with one of our friendly brewery tour guides to ensure a safe and memorable experience. The guide will help you make beer selections, answer questions and introduce brewery staff (when available). * Special requests, like custom pickup and drop-off locations may add to the final price in your private tour proposal. Please respond to the questions below and we will get back to you with specific pricing and tour date availability. How many people would you like to bring on the tour? We run tours 7 days a week. Preferred date of the tour? How many breweries would you like to visit? Each stop is about an hour and our standard tours are 3 stops. Corporate tours can be up to 4 stops. Would you like to include a tour of the brewing facility? Not guaranteed; arranged based on availability. Do you want to be picked up/dropped off at a custom location? Our standard pick-up and drop-off point is Sociable Cider Werks. We can arrange custom pick-up and drop-off location at an additional price. We can plan activities for corporate and special events.